On this page you can read out about the Fellows and Associate Fellows at the Oxford Centre for Muslim-Christian Studies, find out about their publications and contact them. Our small team is composed of a number of fellows and associate fellows, plus support staff. If you would like to contact any of our team of academic and support staff you will find our email addresses below. Martin is an associate member of the Faculty of Theology and Religion at the University of Oxford and a Research Fellow at Regent’s Park College, Oxford. His research interests include the history and theology of Muslim-Christian interactions, focussing on the history of Muslim views of the Bible and also views of other elements of Christian faith. Ida oversees a number of international projects and was an associate staff member at Wycliffe Hall, Oxford. She previously taught in the areas of Qur’an and Bible and history of Muslim-Christian dialogue at the University of Edinburgh, and her personal research interests focus on reading the Bible in the context of Islam. Richard is an associate member of the Faculty of Theology and Religion at the University of Oxford. He is a sociologist with research interests in religion and society and the contemporary encounter of faith groups. 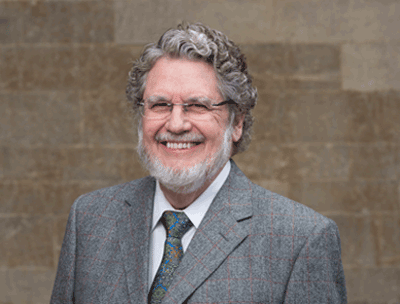 His most recent research projects include: Christians and Muslims in Public Life; an evaluation of an inter-faith summer school run by the Cambridge Inter-faith Programme; and a survey of the teaching of Islam in British theological colleges. Georgina is a Research Associate of the University of Gloucestershire with a special interest in Scriptural Reasoning and the intersection of gender and religion. She has published on the topics of female characterisation in the Bible and Qur’an, including a brief analysis of Muslim women’s role in the anti-Apartheid struggle in South Africa. Felice oversees the donor relations and fundraising function at the Centre and is responsible for its Operations. She brings many years of experience in fundraising to the Centre as well as an academic background in Theology. As a core member of the Senior Management Team, her priorities are to maintain good relations with existing donors whilst extending the CMCS network to work with new donors. Ensuring good governance, compliance and transparency are also vital components of her job. Felice has lived and worked in Nazareth, Israel and served on the Board of Nazareth Baptist School. She is also a Governor at Wolvercote Primary School in North Oxford. Felice has travelled widely throughout India and Africa, as well as her time in the Middle East. Her award-winning dissertations for her Bachelor’s and Masters degrees were based on first-hand field research in India and the West Bank. Before joining CMCS, Felice was working for the University of Oxford Development Office. David worked in clinical psychology and then was in Christian ministry in the United States before going back to Bangladesh, where he was brought up. There, he and his wife were involved in teaching and translation. Susan's role is to facilitate the smooth running of the centre's daily programme and events and to provide administrative support to the senior management team. She is often the first point of contact for enquirers and visitors. Susan has a background in administration and worked in the public sector before undertaking 3 years of part-time Biblical and Theological Study. Prior to CMCS, Susan worked as administrator for the part-time courses at Wycliffe Hall, Oxford. Pradip oversees financial management, personnel administration and legal compliance on behalf of the Centre. He has a degree in Electrical Engineering and a Master’s degree from Fuller Seminary, California. Prior to joining CMCS, Pradip lived in Zimbabwe where he held a post in theological education. His hobbies include watching motor racing and fishing - when he can.